Some place to go in July! 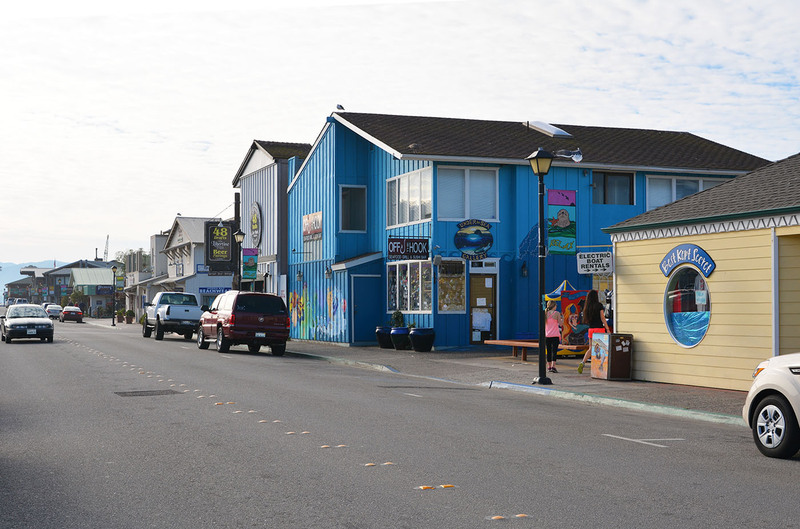 Driving up the scenic central California coast I am always impressed by the sleepy little towns dotted along the way. 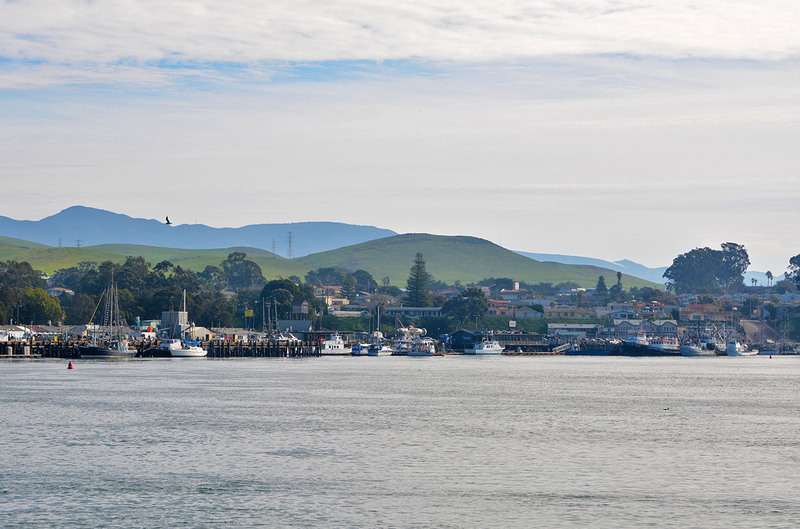 One such town standing out from the rest is the seaside village of Morro Bay. 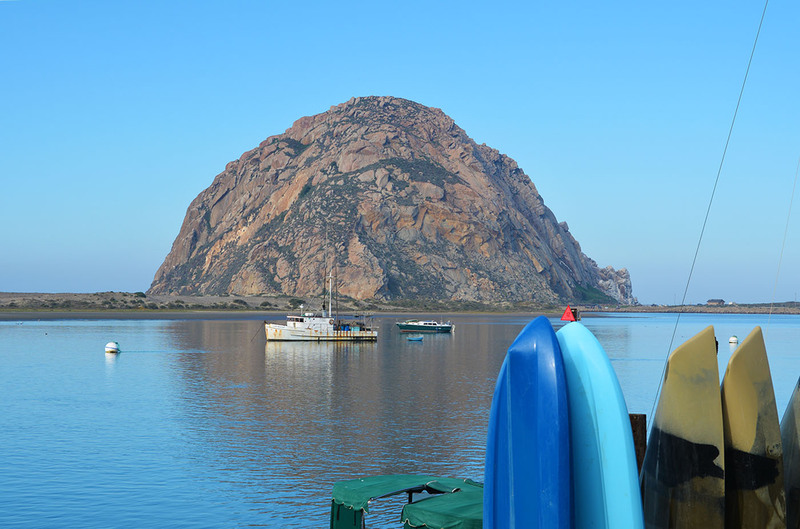 Morro Bay may not be the smallest of communities in the area but it does have one unique landscape feature that the others don’t have, the enormous Morro Rock. “The Rock” as locals call it stands 576 feet tall and looks like a landed meteorite straight out of a science fiction movie. 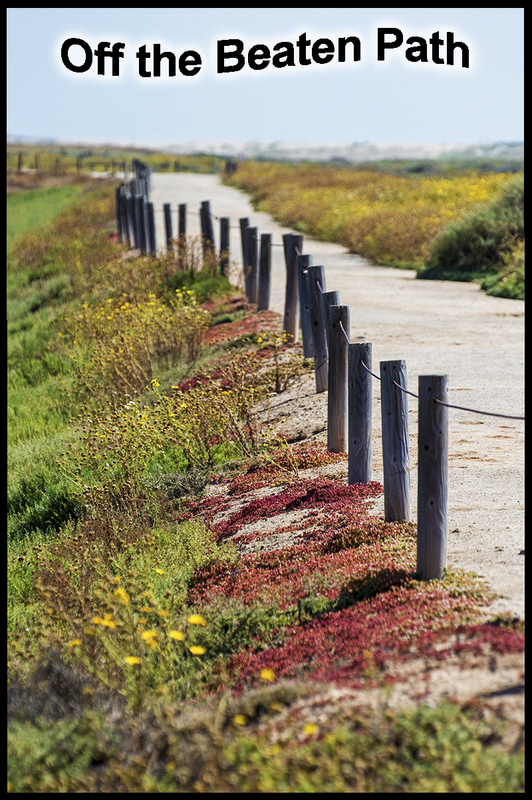 Morro Rock was originally surrounded by water but a breakwater was built so that people and cars can easily have access to its base. 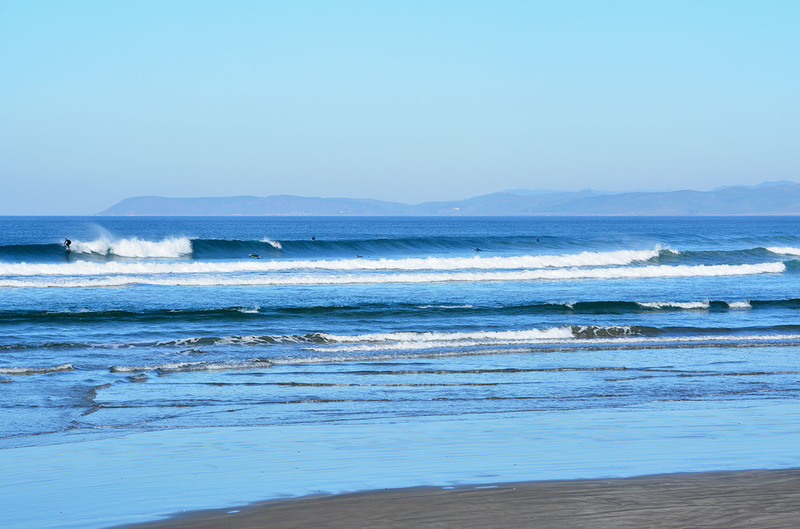 At present there is a paved road and a huge dirt area that serves as a parking lot for the surfers as well as the fishermen (and women) who fish at the harbor nearby. There is no climbing allowed on the rock as the foundation is unsteady and rocky. Locals tell us that once in a great while someone will get caught climbing the rock only to be met with a hefty fine. 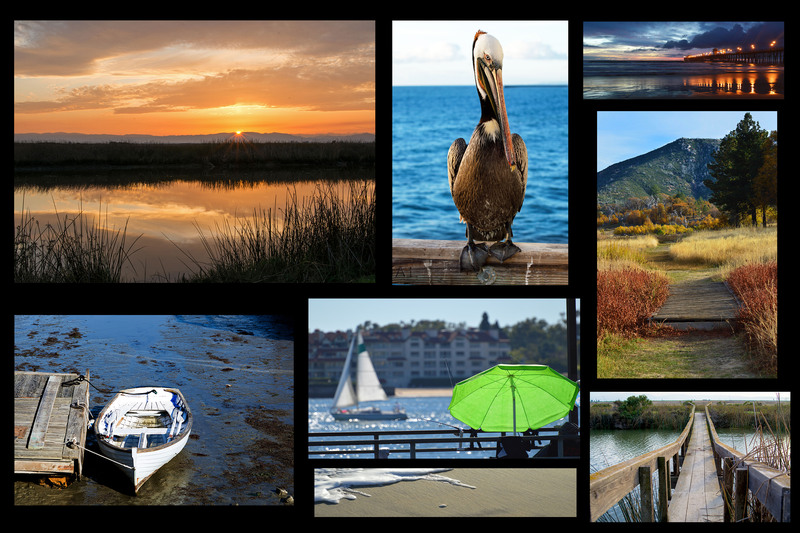 Morro Bay is a coastal community located on scenic Highway 1 and nestled roughly 125 miles north of Santa Barbara and about 140 miles south of Monterey. This picturesque city has a population of just over 10,000 as of the 2010 census. This part of the coast was lacking in natural harbors so the Army Corp of Engineers decided to build a small bay with the intention to house recreational and commercial boats. 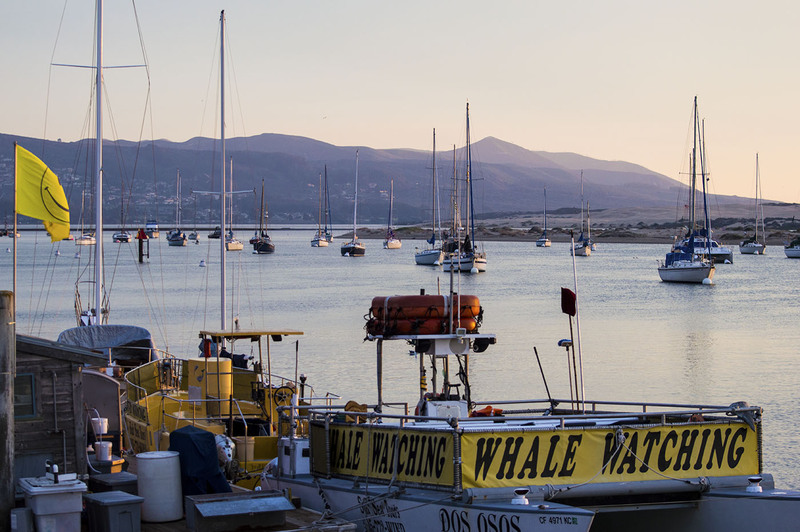 It is now the only harbor between Santa Barbara and Monterey that can accommodate smaller boats. 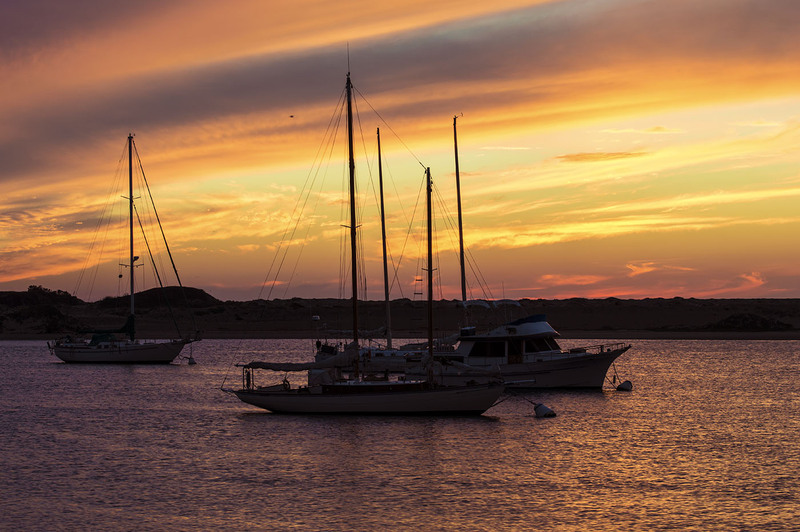 Protected by a large sand dune or sandspit , the harbor is calm and serene and home to boats moored peacefully against the backdrop of “The Rock”. With its close proximity to the hotels, the embarcadero is the place to go for food, shopping, or simply strolling around the harbor. 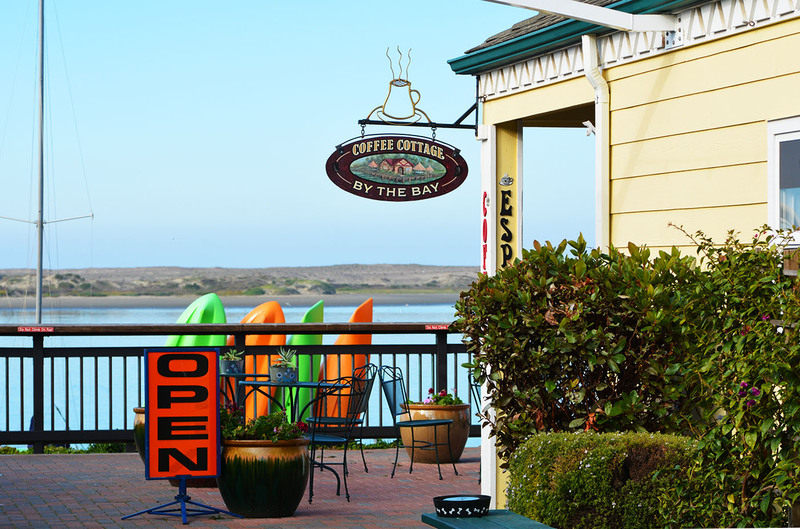 It is home to water front restaurants, cute cafes, galleries, gift shops, and much more. 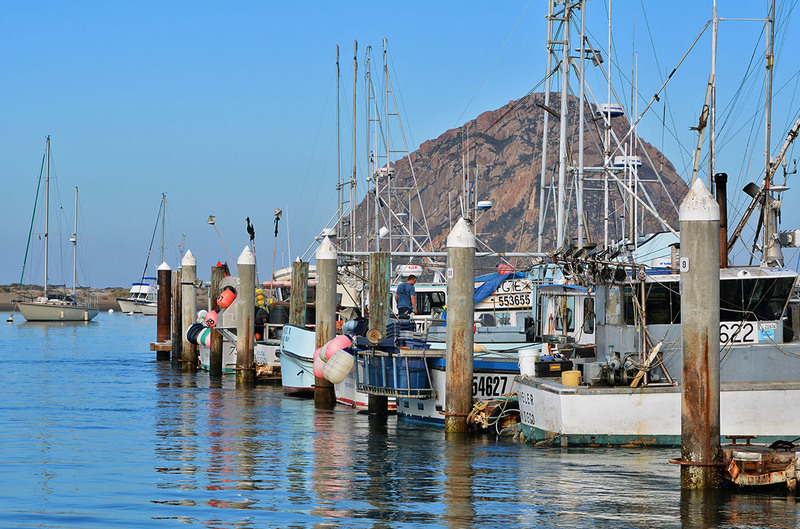 Since Morro Bay has an active fishing industry, the local restaurants feature fresh catches and additionally serve outstanding wines from the local wineries. As proof, one visitor mentioned to us that the fish and chips he had just eaten were the best he had ever tasted, then was later told by the waiter that the fish was just brought in from the boat. You can easily walk or bicycle along the embarcadero and see all it has to offer in a day or a weekend. 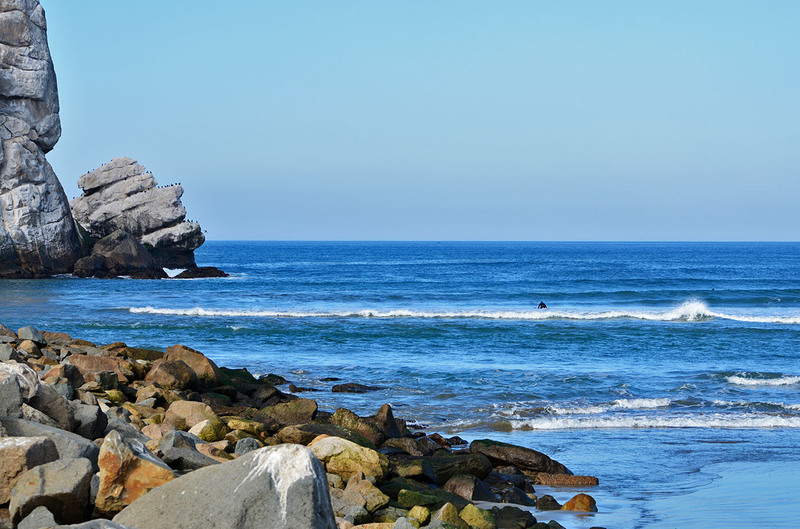 For water activities, you can rent kayaks, SUP’s , charter boats, or take a whale watching tour. 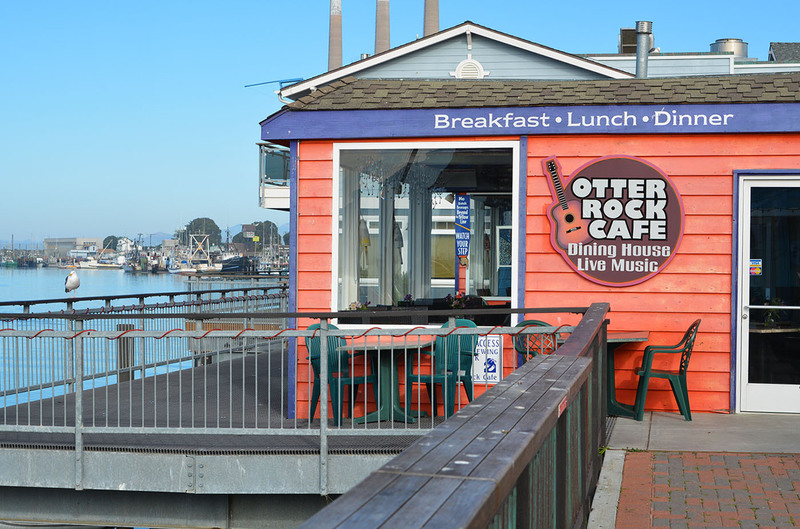 Whether you are on the water or the shore, be on the lookout for playful otters and seals as the bay is home to quite a few. 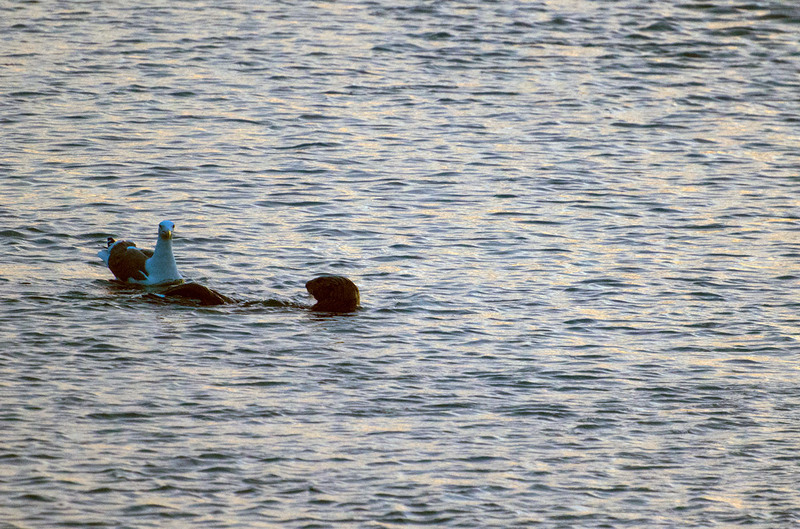 I saw an otter on his back enjoying his meal when a seagull came along and trailed him trying to get some scraps. 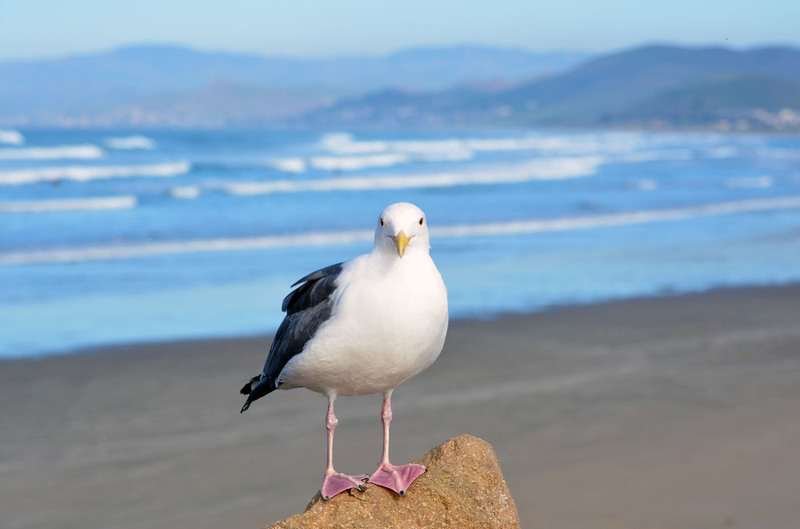 The otter would dive in hopes of ditching the seagull but the seagull was persistent and would flap his wings to join the otter at the new spot. This went on for awhile and was the kind of natural entertainment you can expect around the bay. 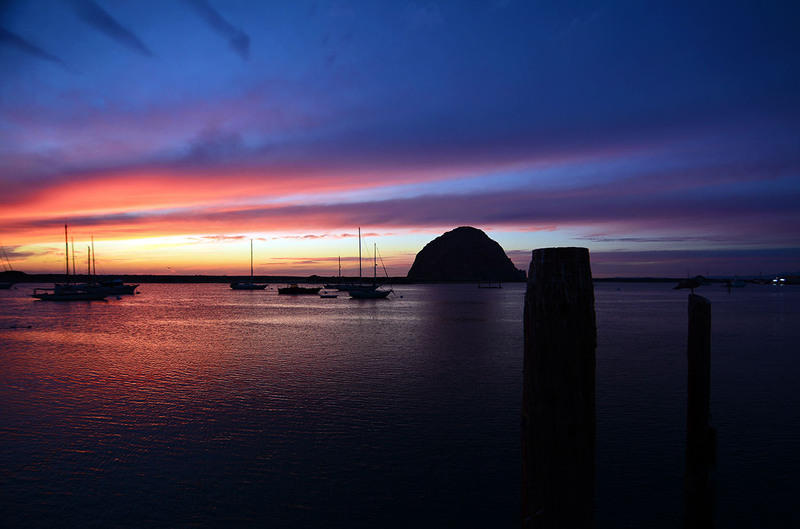 Morro Bay is the perfect getaway for the weekend or even a whole week. 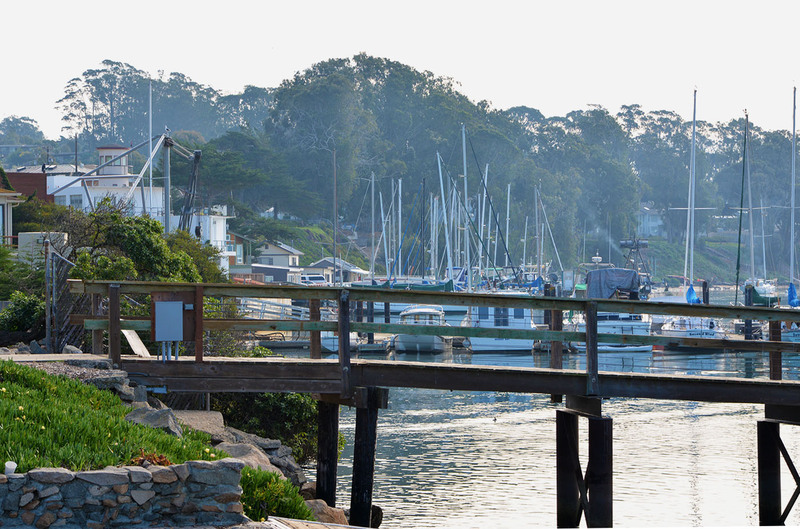 You can relax and enjoy the peaceful charm of the city or you can stay active and take pleasure in all it has to offer on the bay or the sea. Actually, you can easily do both. 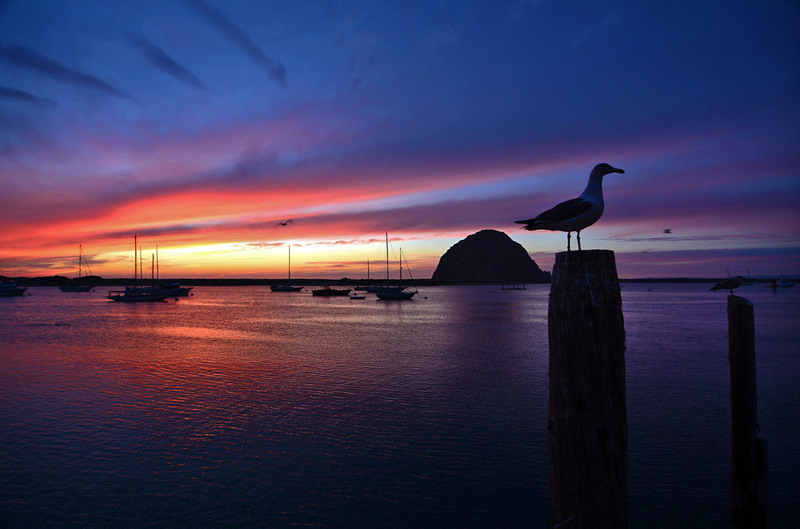 So the next time you are traveling in Central California, stop by Morro Bay. 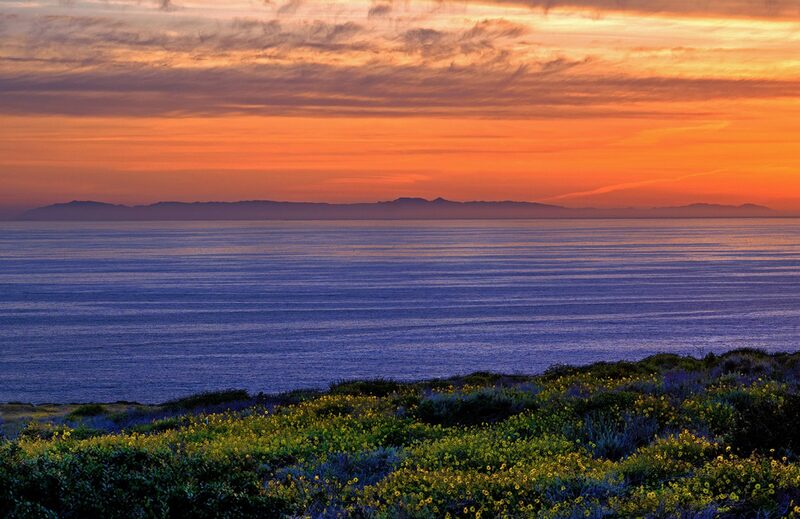 Head west from Highway 101 to Highway 1 and as soon as you smell the fresh ocean air, be on the lookout for the gigantic meteorite…er…rock. Oh, and one last warning, be prepared not to want to leave! Next PostNext Something to do in July? How about a Walk on a Pier?